Jaguar has announced that they are currently developing a new technology for their cars that will look to stop the spread of bacteria into their vehicles cabin. 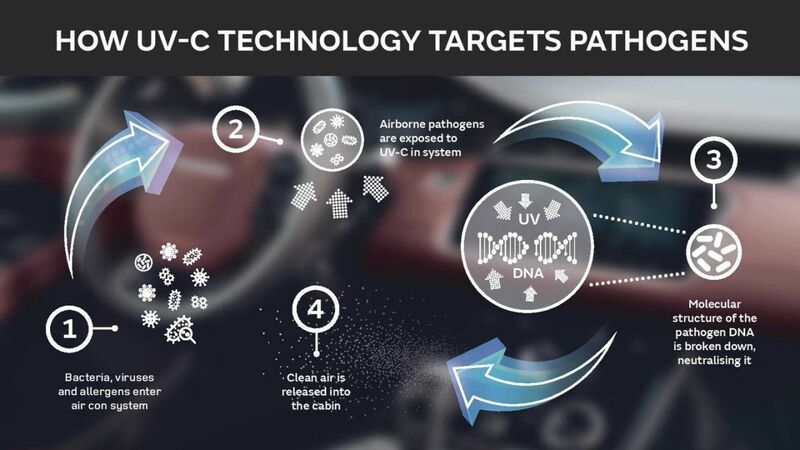 Utilizing ultraviolent light, they hope to kill airborne pathogens as it cycles through the cars HVAC system. With how much time people spend behind the wheel, this could be a big step in preventing how often one gets sick. Originally seen this take on interiors with Tesla's system and was sort of confused but as pollution in even some world class cities increases, having spaces with clean air will become essential. The first thing this brought to my mind was Tesla's bioweapon defense mode. Helping to improve the air quality inside the cabin is something that will become increasingly important given the smog and pollution in more condensed areas.